It’s September, so The BEST Kid-Friendly Slow Cooker Dinners are going to come in handy, right? No matter whether your kids are in kindergarten or college, we think they’ll love this collection of Kid-Friendly Slow Cooker Dinners! 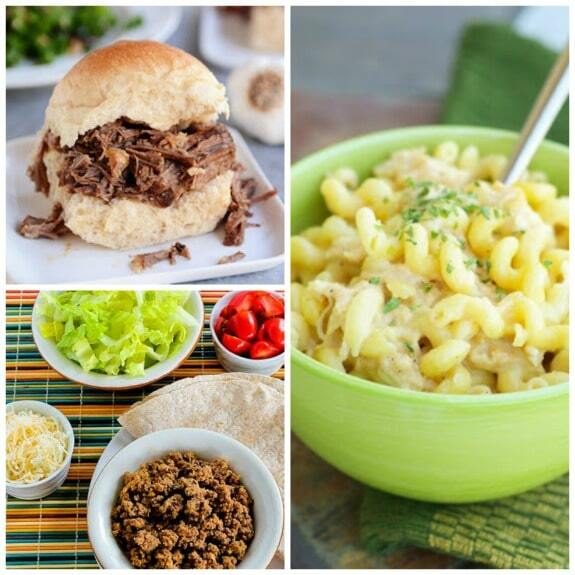 Click here to PIN The BEST Kid-Friendly Slow Cooker Dinners. Check out our picks for The BEST Kid-Friendly Slow Cooker Dinners for something easy to make that will please the kids in your life. 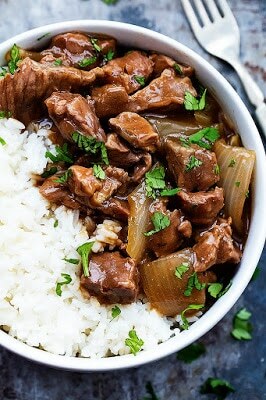 And slow cooker dinners can really help when you’re easing back into the routine of homework and after-school lessons. Kids can often be choosey about the things they eat, and sometimes even about what things they’ll try. But for this collection I’ve chosen a recipes that would make many of the kids I know happy to come to dinner. I love seeing the smiles on their faces when they enjoy what they’re eating. This post has everything from a favorite mac-n-cheese to turkey dinner and even meatballs, so the slow cooker can help you with a lot of kid-friendly meals. And I had to include a couple of slow cooker desserts that I know will please the kids. Best of all, it’s easy to get dinner on the table and if it’s still hot where you are your house will stay cool when you use the slow cooker. 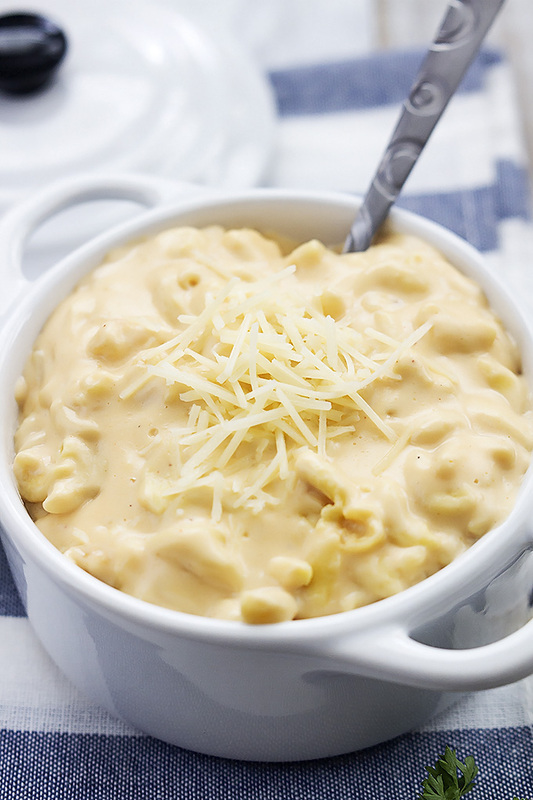 Slow Cooker 4 Cheese Macaroni from Creme de la Crumb is an easy and creamy dinner that would surely be a crowd pleaser! Slow Cooker Asian Chicken Broccoli Bowl from Kalyn’s Kitchen features broccoli, but you could certainly use any vegetable your kids would like. 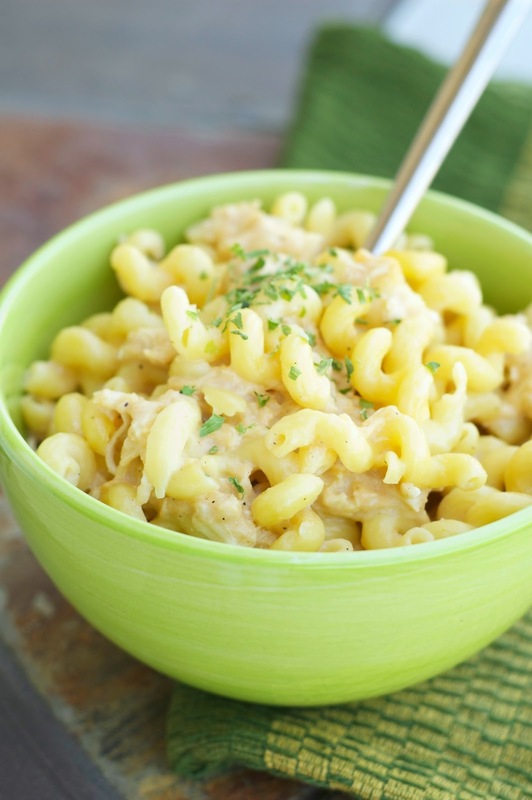 This Slow Cooker Mac and Cheese with Garlic Chicken from Slow Cooker Gourmet puts the chicken and garlic in the slow cooker for all day; then you add the macaroni and cheese the last 30-60 minutes. Slow Cooker Roasted Garlic Beef Sandwiches from Mel’s Kitchen Cafe adds a mellow roasted garlic flavor to the slow cooker beef. Your kids will love this CrockPot Turkey Breast with Lower-Carb Gluten-Free Gravy from Kalyns Kitchen. You can use the turkey for sandwiches if you don’t want a full-out turkey dinner, although I think kids like turkey and gravy even when it’s hot! 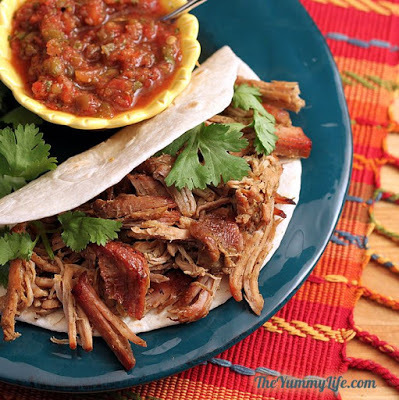 This slow cooker Carnitas Shredded Pork from The Yummy Life was given a big thumbs us from several kids I know. 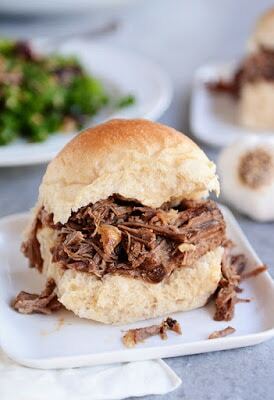 Slow Cooker Beef on Rice from Creme de la Crumb is a savory beef and gravy. Served over rice and the kids will love it. 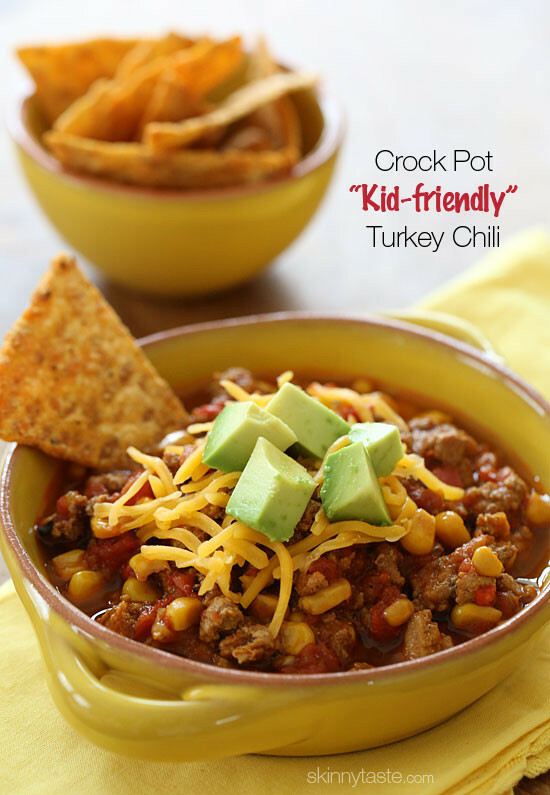 This Crock Pot Kid-Friendly Turkey Chili from Skinny Taste has a base of ground turkey, corn and tomato: kids will love to eat it with chips. 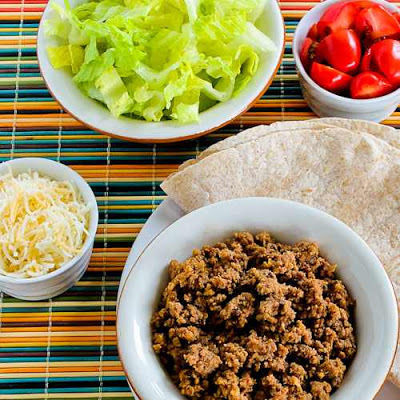 This yummy Slow Cooker Browns-in-the-Crockpot Spicy Ground Beef for Tacos, Burritos, or Taco Salad from Kalyn’s Kitchen is perfect for a Slow Cooker Summer Dinner. 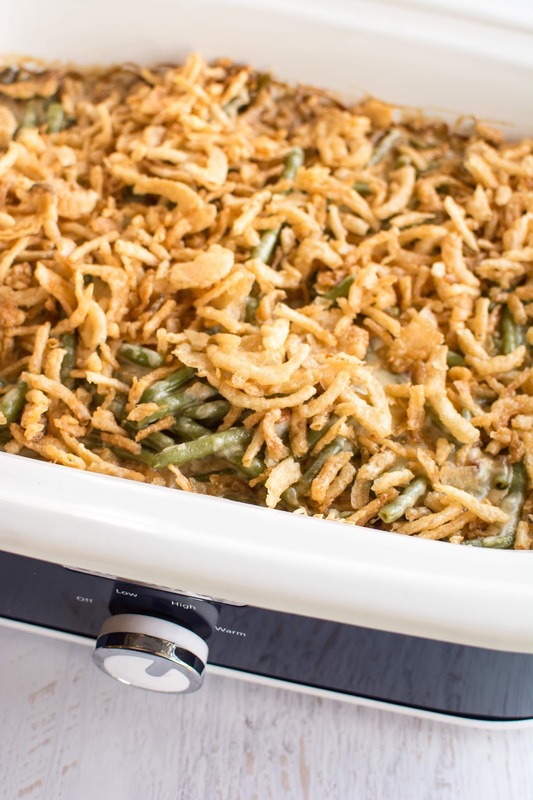 Slow Cooker Fresh Green Bean Casserole from Slow Cooker Gourmet has bacon and cheese, and that makes it even more appealing to kids! 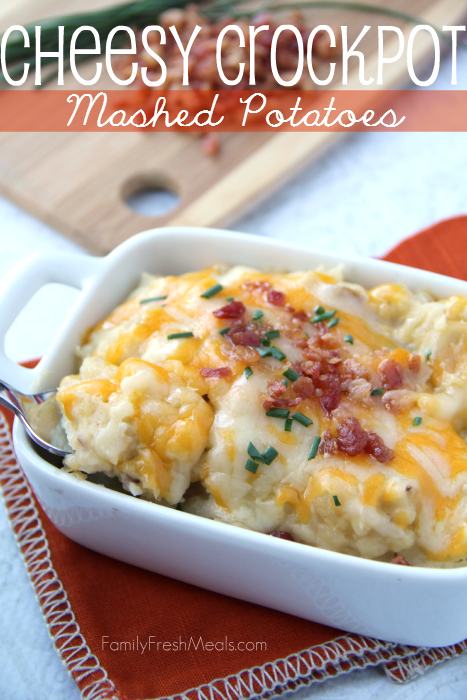 Easy Cheesy Crockpot Mashed Potatoes from Family Fresh Meals is great as a side dish and pleases the crowd. What’s your favorite kid-friendly slow cooker meal? Please share in the comments; links to recipes are welcome! 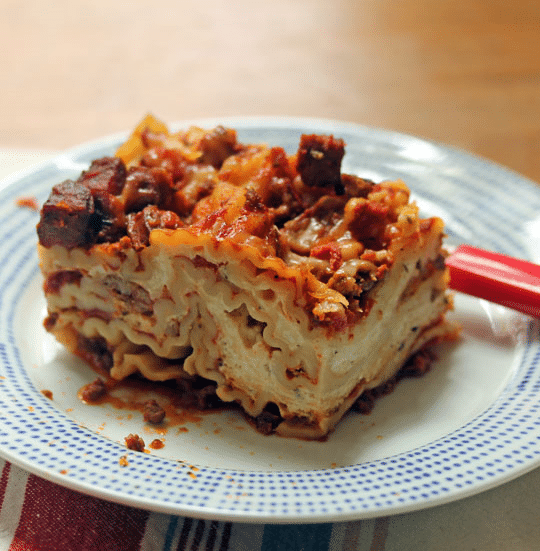 Thanks for including my lasagne recipe — it's a big hit in my house, too! I think some of these recipes will really appeal to my grandkids. Lydia, your lasagna is epic in my family! I hope you try some of the others on the grandkids!